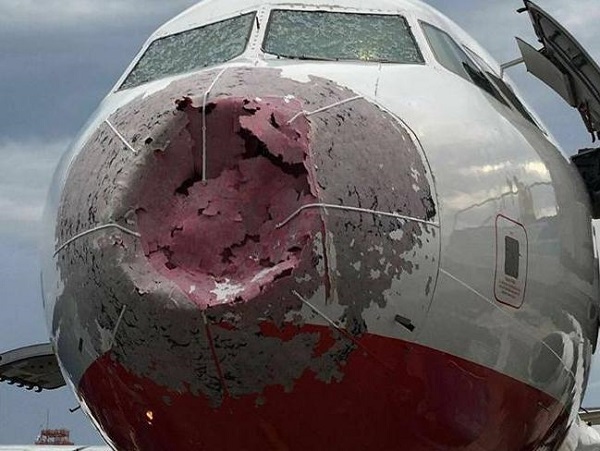 Captain Alexander Akopov landed the AtlasGlobal aircraft with 121 passengers at Istanbul’s Ataturk Airport after the nose was severely damaged shortly after take-off by hailstones the size of chicken eggs. He used the side windows so he could see for the landing. Sounds fine, until you see the picture. Moral: Do not take your flight crew for granted.